I recently came across the article, Sports program for kids with special needs, featured in the Atlanta Journal Constitution section on Doing Good Metro Atlantans Helping Others. 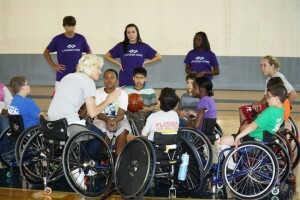 This article highlights a new sports program for children with physical and/or cognitive disabilities established in the Atlanta area called Exceptional Kids Athletics. What I gathered from this article is that Exceptional Kids Athletics takes a holistic approach in their sport programming.